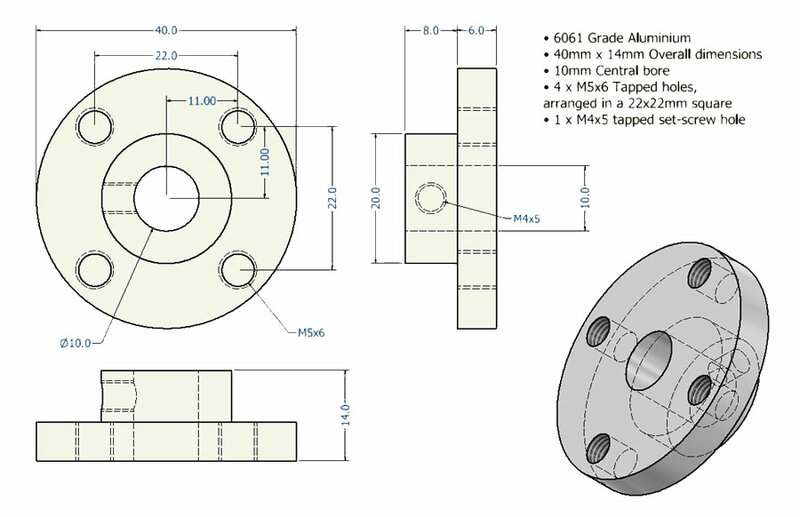 This mounting hub is CNC machined from a solid piece of 6061 aluminium and designed to fit shafts 10mm in diameter. The hub itself is 40mm diameter by 14mm deep overall, with four M5 tapped mounting holes on the larger circular face (which is 6mm thick), ideal for attaching wheels, levers and other accessories. An included M4 set-screw (with hexagon socket head) allows the hub to be securely fastened to a driven shaft. 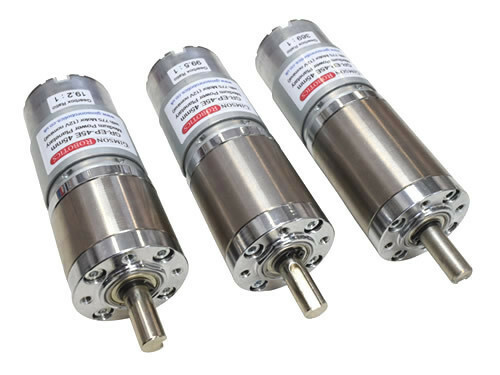 The hub is a useful compliment to our GR12, GR-EP-45E and GR-EP-45 models of gearmotor. Each hub is supplied individually.